On 27 February, Lt.Gen. 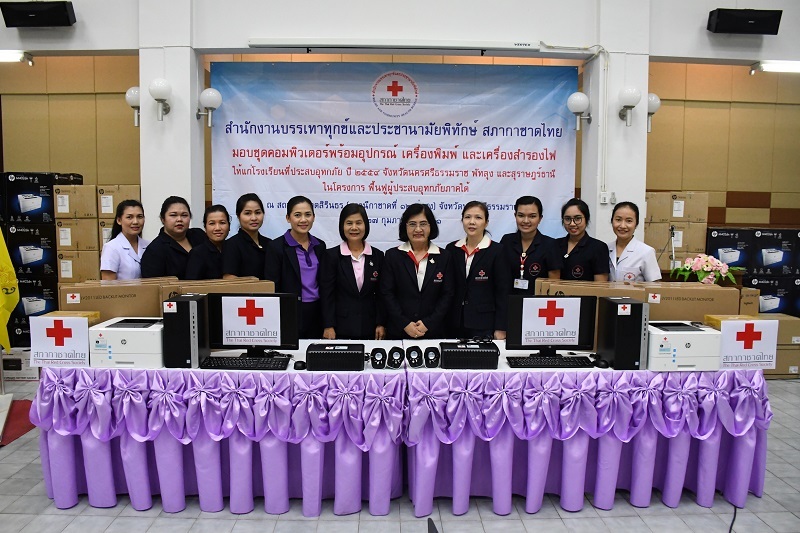 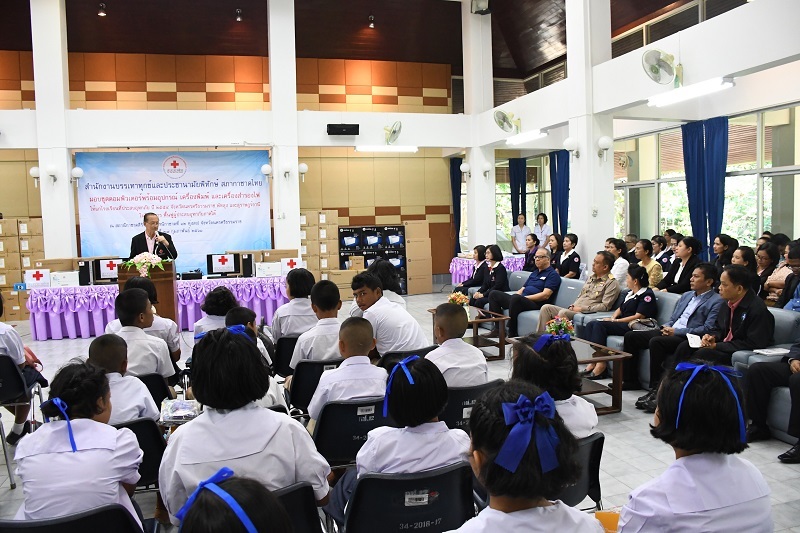 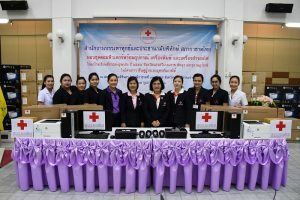 Amnat Barlee, M.D., Director of the Relief and Community Health Bureau (RCHB) of Thai Red Cross (TRC) Society presided over the ceremony to hand over computers, printers, and power supplies to 181 schools in three provinces namely, Nakhon Si Thammarat (78), Phatthalung (78), and Surat Thani (25). 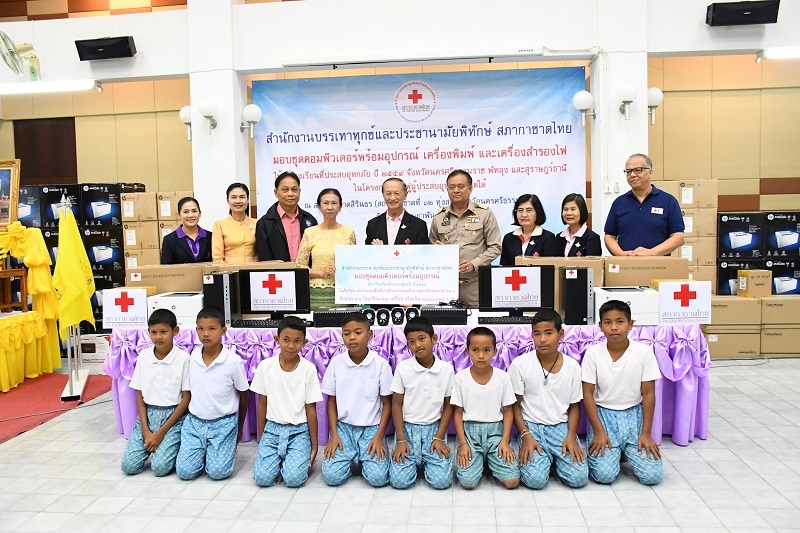 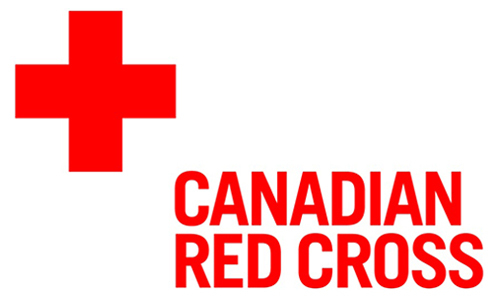 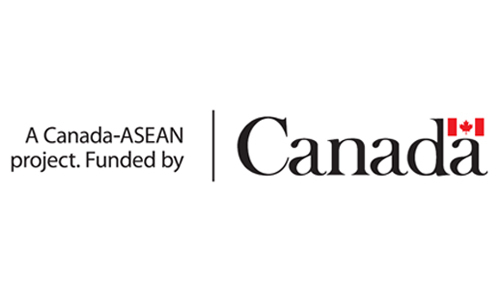 The donation was part of the “Southern Flood Victims Rehabilitation” Project which is aimed at providing students access to information and knowledge to improve the quality of life through the use of modern technology. 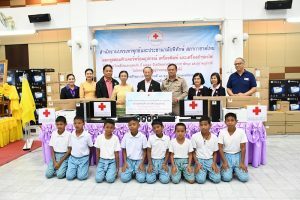 In this occasion, Mr. Wirat Rakphan, Deputy Governor of Nakhon Si Thammarat Province, Mr. Marwan Jilani, Head of IFRC Country Cluster Support Team in Bangkok, together with President of Phatthalung Provincial Red Cross Chapter, Committee of Nakhon Si Thammarat Provincial Red Cross Chapter, Surat Thani Provincial Education Office, and relevant agencies in the area of Thung Song, Nakhon Si Thammarat Province also attended the ceremony.